Auditing : an integrated approach / Alvin A. Arens, James K. Loebbecke. by Arens, Alvin A | Loebbecke, James K.
Call number: 657.45 A681A 1997 Material type: BookEdition: 7th ed., international edPublisher: Upper Saddle River, N.J. : Prentice-Hall, c1997Description: xviii, 823 p.Availability: Items available for loan: PYULIB-CL [Call number: 657.45 A681A 1997] (1). Call number: 657.42 บ969ก Material type: BookPublisher: กรุงเทพฯ : ซีเอ็ดยูเคชั่น, 2541Description: 272 หน้า.Availability: Items available for loan: PYULIB-CL [Call number: 657.42 บ969ก] (3). การบัญชีภาษีอากร : ฉบับปรับปรุงใหม่ VAT 10% / โดย สมเดช โรจน์คุรีเสถียร. Call number: 657.46 ส248ก 2540 Material type: BookEdition: พิมพ์ครั้งที่ 2Publisher: กรุงเทพฯ : สถาบันพัฒนาการบริหารธรรมนิติ, 2540Description: 439 หน้า.Availability: Items available for loan: PYULIB-CL [Call number: 657.46 ส248ก 2540] (1). Call number: 657 ก459 2541 Material type: BookEdition: พิมพ์ครั้งที่ 8Publisher: กรุงเทพฯ : โรงพิมพ์มหาวิทยาลัยธรรมศาสตร์, 2541Description: 1 เล่ม (หน้าไม่เรียงลำดับ).Availability: Items available for loan: PYULIB-CL [Call number: 657 ก459 2541] (2). Call number: 657.46 ร376ก Material type: BookEdition: พิมพ์ครั้งที่ 1Publisher: กรุงเทพฯ : ฝ่ายเอกสารและตำรา สถาบันราชภัฏสวนดุสิต, 2541Description: 380 หน้า.Availability: Items available for loan: PYULIB-CL [Call number: 657.46 ร376ก] (1). Call number: 657 อ682ก Material type: BookPublisher: กรุงเทพฯ : สถาบันราชภัฏสวนดุสิต, 2536Description: 371 หน้า.Availability: Items available for loan: PYULIB-CL [Call number: 657 อ682ก] (2). Call number: 657 อ682ก 2541 Material type: BookEdition: พิมพ์ครั้งที่ 3Publisher: กรุงเทพฯ : สถาบันราชภัฏสวนดุสิต, 2541Description: 313 หน้า.Availability: Items available for loan: PYULIB-CL [Call number: 657 อ682ก 2541] (2). Call number: 657.74 จ145ก Material type: BookPublisher: กรุงเทพฯ : ที พี เอ็น เพรส, 2540Description: 1 เล่ม (หน้าไม่เรียงลำดับ).Availability: Items available for loan: PYULIB-CL [Call number: 657.74 จ145ก] (1). Call number: 351.722 ณ214ก 2539 Material type: BookEdition: พิมพ์ครั้งที่ 7 (ปรับปรุงโดยสมบูรณ์)Publisher: กรุงเทพฯ : บพิธการพิมพ์, 2539Description: 471 หน้า.Availability: Items available for loan: PYULIB-CL [Call number: 351.722 ณ214ก 2539] (1). 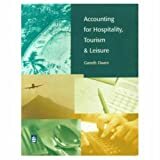 Accounting for hospitality : tourism and leisure / Gareth Owen. Call number: 657.837 O97A 1998 Material type: BookEdition: 2nd ed.Publisher: Harlow, Essex : Longman, 1998Description: xi, 460 p.Availability: Items available for loan: PYULIB-CL [Call number: 657.837 O97A 1998] (1). การบัญชีทรัพย์สิน. เล่ม 1 = Assets accounting / โดย เยาวรักษ์ (รัตนเพียรธัมมะ) สุขวิบูลย์. Call number: 657.72 ย545ก Material type: BookPublisher: กรุงเทพฯ : วี. ซี. เซอร์วิสเซ็นเตอร์, 2541Description: 279 หน้า.Availability: Items available for loan: PYULIB-CL [Call number: 657.72 ย545ก] (1). by กิ่งกนก พิทยานุคุณ | สุนทรี จรูญ | รวีวัลย์ ภิยโยพนากุล. Call number: 657.42 ก631ก Material type: BookPublisher: [กรุงเทพฯ] : โรงพิมพ์มหาวิทยาลัยธรรมศาสตร์, 2540Description: 513 หน้า.Availability: Items available for loan: PYULIB-CL [Call number: 657.42 ก631ก] (1). Call number: 336.2 จ628ก Material type: BookPublisher: กรุงเทพฯ : ภูมิบัณฑิต, [2542? ]Description: 451 หน้า.Availability: Items available for loan: PYULIB-CL [Call number: 336.2 จ628ก] (2). by Cavert, C. Edward | Titard, Pierre L.
Call number: 657 C381S 1987 Material type: BookEdition: 2nd ed.Publisher: Chicago : The Dryden Press, c1987Description: 284 p.Availability: Items available for loan: PYULIB-CL [Call number: 657 C381S 1987] (1). Call number: 343.04 ส781ก Material type: BookPublisher: กรุงเทพฯ : วิชิตา ทนายความ บัญชีและธุรกิจ, 2541Description: 401 หน้า.Availability: Items available for loan: PYULIB-CL [Call number: 343.04 ส781ก] (3). Call number: 657.42 ด218ก 2532 Material type: BookEdition: พิมพ์ครั้งที่ 2 (ฉบับปรับปรุงแก้ไข)Publisher: กรุงเทพฯ : จุฬาลงกรณ์มหาวิทยาลัย, 2532Description: 422 หน้า.Availability: Items available for loan: PYULIB-CL [Call number: 657.42 ด218ก 2532] (1). Call number: 346.063 ข281 Material type: BookPublisher: กรุงเทพฯ : บริษัท, [2542? ]Description: 100 หน้า.Availability: Items available for loan: PYULIB-CL [Call number: 346.063 ข281] (1). Call number: 657.48 F491 1999 Material type: BookEdition: 7th ed.Publisher: Cincinnati, Ohio : South-Western College, c1999Description: xxix, 652, 28, 10,  p. : ill.Availability: Items available for loan: PYULIB-CL [Call number: 657.48 F491 1999] (1). by Black, Homer A | Champion, John E | Brown, R. Gene. Call number: 657 B628A 1967 Material type: BookEdition: 2nd ed.Publisher: Englewood Cliffs, N. J. : Prentice-Hall, c1967Description: xxii, 964 p.Availability: Items available for loan: PYULIB-CL [Call number: 657 B628A 1967] (1).